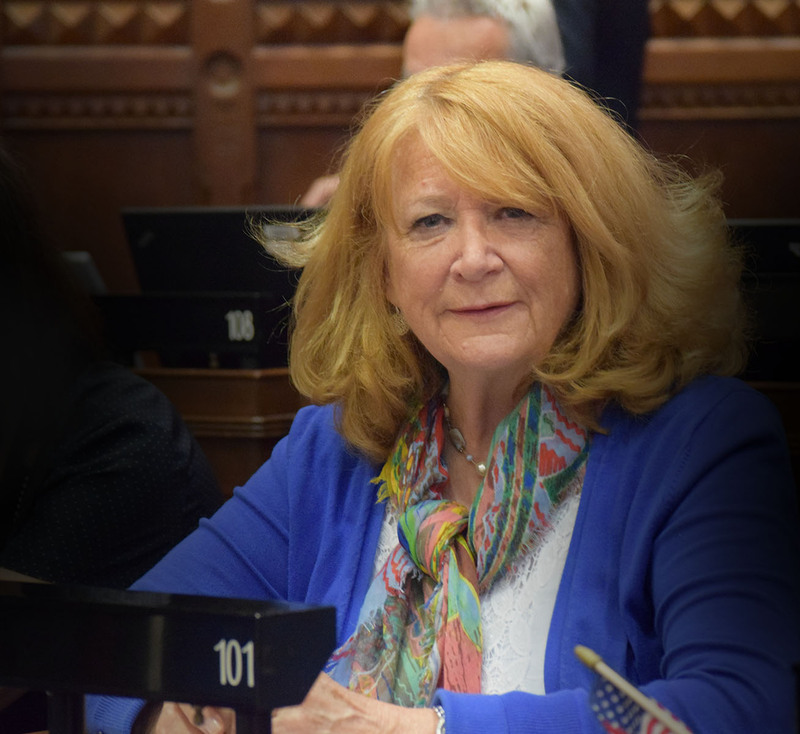 State Rep. Noreen Kokoruda issued the following statement on Governor Lamont’s budget proposal for the 2020-2021 biennium, which the governor presented to the General Assembly on February 20. Kokoruda, a member of the legislature’s Appropriations Committee said: “Although I am always hopeful and eager to work with my colleagues on both sides of the aisle, I am also cautious as there are many aspects of the governor’s budget proposal that are simply a tax on the middle class. The budget proposal we heard includes more taxes and more spending, and although some concepts have good intentions, they are not accompanied by proposals to pay for them. There are a number of good ideas in the proposal that will likely receive universal support, like completely eliminating the business entity tax and reducing state debt, restoring the property tax credit to all individuals, and offering minimum budget requirement (MBR) relief to boards of education. But with nearly a $4 billion deficit projected for the next biennium, it is disappointing that the governor’s budget proposal is based on both higher spending and higher taxes, especially after so many Connecticut residents and businesses are struggling to survive and even fleeing the state. This proposal would implement tolls; add a 10 cent tax on plastic bags, a 1.5 cent per ounce tax on sugary beverages, a 25 cent liquor bottle deposit and a 5 cents tax on nips, as well as a 75 percent tax on E-Cigarette liquid. Another alarming addition is that the governor’s proposal would shift teacher’s retirement contributions from the state to municipalities resulting in towns like Durham and Madison paying 25 percent while distressed towns pay 5 percent. Unfortunately, towns like Madison and Durham are referred to as “donor towns”. For this reason, I was not entirely surprised to see that part of the cost of the woefully underfunded teachers’ pension plan was passed down to our towns. Not to be mistaken, I do believe it is important that we support our teachers, but the problem we are currently facing is that the executive branch has kept our local communities from being part of any pension or health benefit discussion for decades, and this is the result. For too long the state did not invest adequately in these critical programs until finally in 2008, with the urging of the teachers’ unions the state made significant changes. However, this pension fund has been poorly administered for years and we find that it will only get worse if we don’t act now. Again, we need long-term changes to really restore Connecticut fiscal climate and get us back to being the economic powerhouse we once were. If all of the aforementioned tax ideas are not enough, the governor’s proposal also seeks to remove tax relief for our seniors with social security and pensions. All in all, there’s a net tax increase of about $1.28 billion in the first fiscal year and $1.76 billion in the second fiscal year. Simply put this is a tax increase for the middle class, and one of the largest tax increases in history. State Rep. Kokoruda represents Durham and Madison. She is a member of the General Assembly’s Appropriations Committee, Children’s Committee, Education Committee, Planning and Development Committee and is Deputy Republican Leader At-Large. Rep. Kokoruda can be reached at noreen.kokoruda@housegop.ct.gov or 800-842-1423. Constituents can follow her legislative activity throughout the session by logging on to her website at www.repkokoruda.com and following her on Facebook at www.Facebook.com/RepKokoruda.